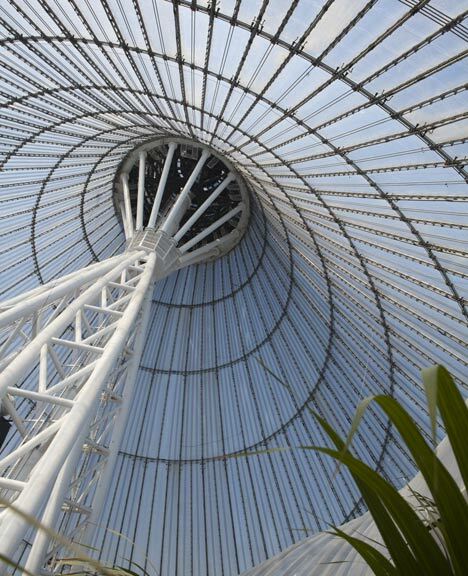 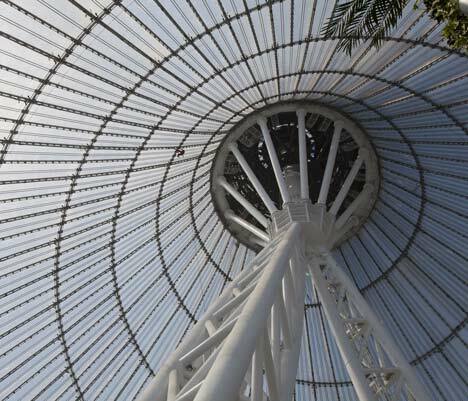 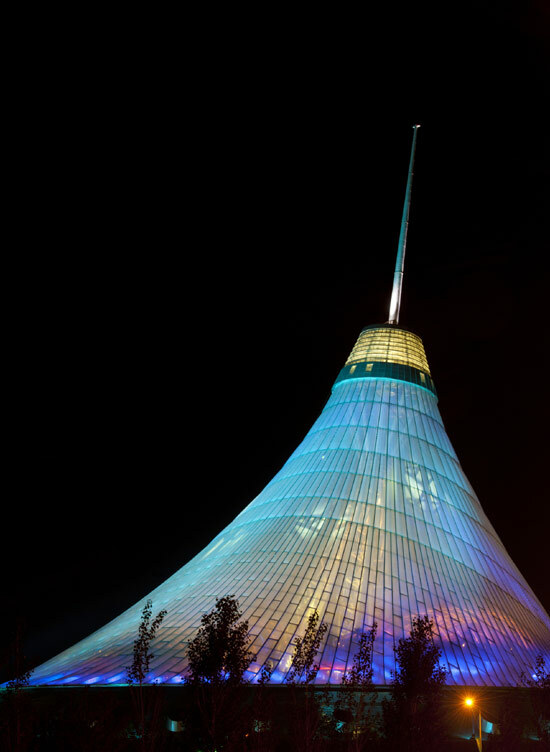 UK architects Foster + Partners have completed the world’s tallest tensile structure in Astana, Kazakhstan. 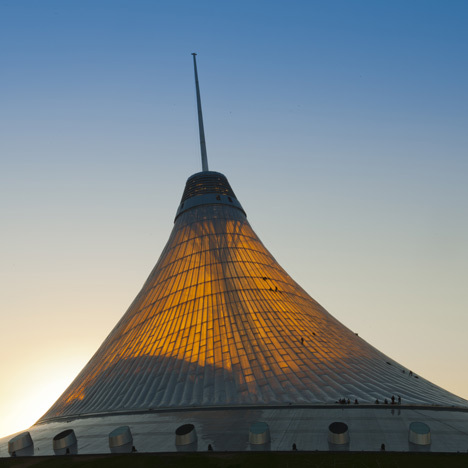 The Khan Shatyr Entertainment Centre stands 150 metres tall, covers 10,000 square metres and is to become the capital’s major civic and cultural venue. 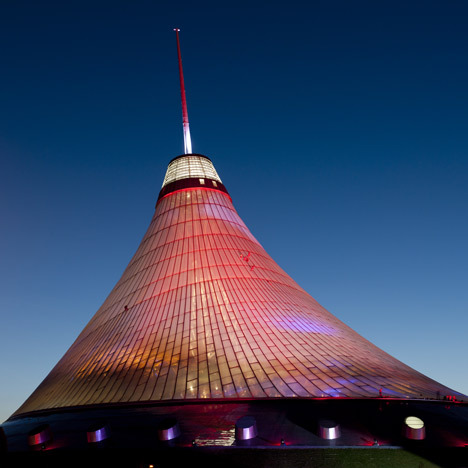 The tent-like structure with its three-layer envelope will provide shelter to Kazakhstan’s extreme climate where temperatures soar to 35°C in summer and slide down to minus -35°C in winter.